表1，Kuo, C. H., & Harris, M. B. (2016). Abdominal fat reducing outcome of exercise training: fat burning or hydrocarbon source redistribution?. Canadian journal of physiology and pharmacology, 94(7), 695–698. 表2，游泳選手移地高山訓練(海拔2300公尺，16%氧氣量)，三週時間，移地訓練組體脂肪顯著減少、肌肉量顯著增加。Chia, M., Liao, C. A., Huang, C. Y., Lee, W. C., Hou, C. W., Yu, S. H., … & Kuo, C. H. (2013). Reducing body fat with altitude hypoxia training in swimmers: role of blood perfusion to skeletal muscles. Chin J Physiol, 56(1), 18–25. 圖1，Kuo, C. H., & Harris, M. B. (2016). 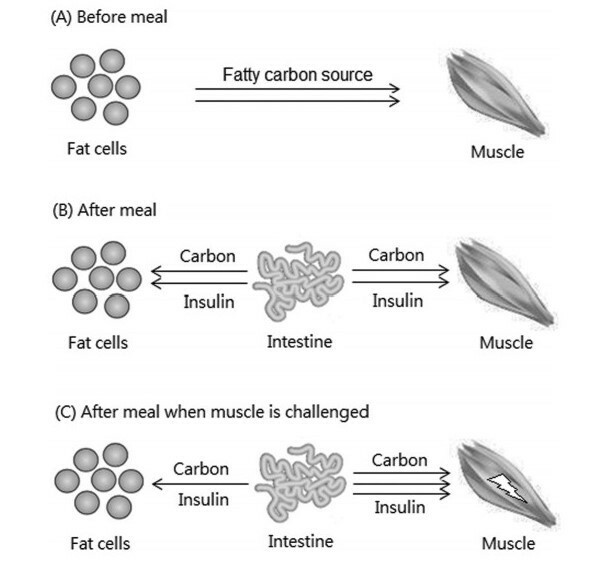 Abdominal fat reducing outcome of exercise training: fat burning or hydrocarbon source redistribution?. Canadian journal of physiology and pharmacology, 94(7), 695–698. Kuo, C. H., & Harris, M. B. (2016). Abdominal fat reducing outcome of exercise training: fat burning or hydrocarbon source redistribution?. Canadian journal of physiology and pharmacology, 94(7), 695–698. Chia, M., Liao, C. A., Huang, C. Y., Lee, W. C., Hou, C. W., Yu, S. H., … & Kuo, C. H. (2013). Reducing body fat with altitude hypoxia training in swimmers: role of blood perfusion to skeletal muscles. Chin J Physiol, 56(1), 18–25. Coppack, S. W., Fisher, R. M., Gibbons, G. F., Humphreys, S. M., McDonough, M. J., Potts, J. L., & Frayn, K. N. (1990). Postprandial substrate deposition in human forearm and adipose tissues in vivo. Clinical Science, 79(4), 339–348. 圖1。Kuo, C. H., & Harris, M. B. (2016). Abdominal fat reducing outcome of exercise training: fat burning or hydrocarbon source redistribution?. Canadian journal of physiology and pharmacology, 94(7), 695–698. 表1。Kuo, C. H., & Harris, M. B. (2016). 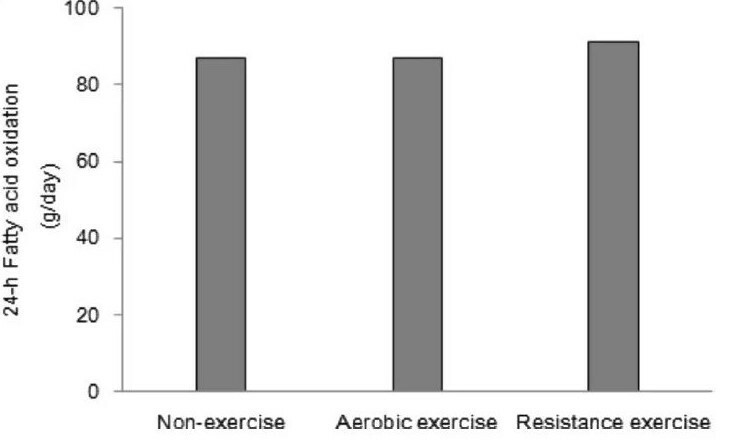 Abdominal fat reducing outcome of exercise training: fat burning or hydrocarbon source redistribution?. Canadian journal of physiology and pharmacology, 94(7), 695–698. 表2。Chia, M., Liao, C. A., Huang, C. Y., Lee, W. C., Hou, C. W., Yu, S. H., … & Kuo, C. H. (2013). Reducing body fat with altitude hypoxia training in swimmers: role of blood perfusion to skeletal muscles. Chin J Physiol, 56(1), 18–25.